The Freight Transport Association (FTA) has questioned the feasibility of a proposed plan to ban all heavy goods vehicles (HGVs) from entering London during peak hours. Put forward by London mayoral candidate Caroline Pidgeon, the scheme would see all HGVs limited from central London between the hours of 7 am to 10 am and 4 pm to 7 pm each day. However, responding to the announcement, FTA head of national and regional policy Christopher Snelling said the argument that the measure would improve road safety for cyclists and lead to an improvement in air quality is simply not the case. 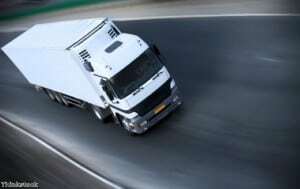 He argued that for every HGV that is not allowed to enter the city, this would be replaced by at least ten vans – causing a considerable increase in emissions and an even greater volume of traffic on the roads. Mr Snelling went on to add: "Rather than ban lorries from our city centres, we need to focus on all aspects of road use to improve safety and pollution for everyone. "HGVs can certainly play their part with cleaner Euro VI engines, revisions to mirrors and sideguards and better cab design." The issue of HGVs on the capital's roads has born a thorny one for several years, with a range of measures recently aimed at making these vehicles safer for those around them. Ms Pidgeon is standing for the Liberal Democrats in the coming London mayoral election, as current incumbent Boris Johnson will be stepping down after two terms in office in May.